The Invest Local Book Blog. : Does every Small Business need employment contracts? 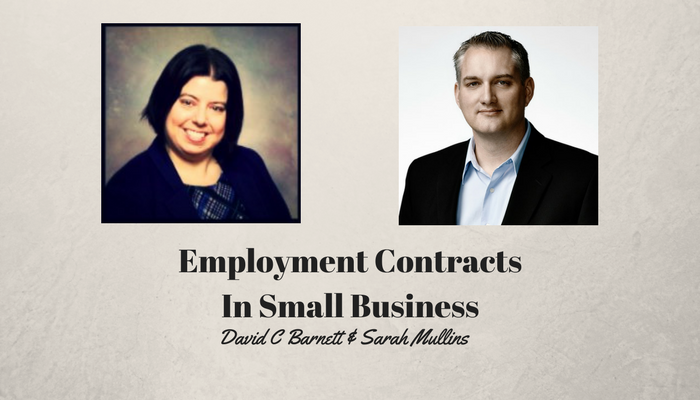 Do small businesses need employment contracts when they hire? An email that arrived a few weeks ago caught my attention when it talked about the importance of employment contracts even for small businesses. HR Expert Sarah Mullins and I speak about why and how you should get things on paper, even in the tiniest of businesses. I also learned an incredible fact about buying businesses in Nova Scotia. It highlights why you need local legal advice with some of the details when you buy or sell a business.